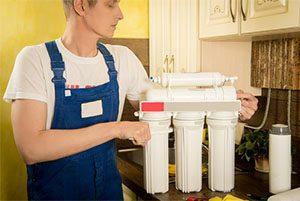 A reverse osmosis water system is one of the most successful ways to eliminate contaminants from water. An R.O. System removes impurities such as sodium and lead and provides you with pure, safe, and clear drinking water. You can count on Sea R.O. Watermakers for your reverse osmosis systems and installation needs. Through our experience, we will make sure to install the right system for your home or business. With many years of experience in home and commercial water purification services, Sea R.O. 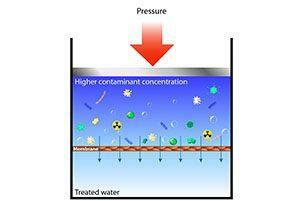 Watermakers has the knowledge of water applications to help ensure that you always get pure and safe drinking water. Our mobile solutions can meet your needs during temporary outages and emergencies with 24/7 availability. We also provide deionization service, which is specially designed to help you operate your R.O. Water System efficiently throughout the year. Our technicians are certified to fix all your water purification problems. Our technical knowledge and expertise add flexibility to our service and our affordable rates ensure that you get the best service within budget. All our water systems installations are performed by highly skilled and factory trained technicians. At Sea R.O. Watermakers, we use the highest quality materials in your home to ensure that you are getting the performance and quality you deserve. At Sea R.O. Watermakers, we stand behind our products, and if technical support is needed, we are available 7 days a week. Our field technician will get you the correct part expeditiously. We offer the latest water purification and filtration systems including the most proven technologies such as R.O. Systems. With responsibility for servicing numerous water treatment systems, Sea R.O. Watermakers has the technical know-how and expertise to make sure that you get the most from your reverse osmosis water system investment. Call today for any questions at 954-527-5282 and click the List of our products HERE.